Sentai Filmworks has just announced that they picked up Brynhildr in the Darkness in the US. While I am not sure how this would affect simulcast sites like Crunchyroll, who already air the series, but DVD, Blu-Ray and digital purchasing of the series will be here soon! 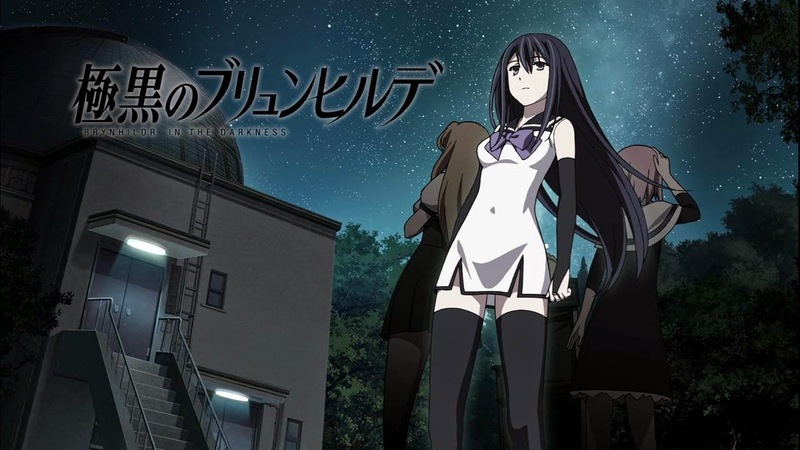 HOUSTON, October 24, 2014 – The night’s sky hides a dark secret that will threaten the lives of not only one, but many in Sentai Filmworks' latest acquisition, Brynhildr in the Darkness. From Lynn Okamoto, original creator of legendary series Elfen Lied, Brynhildr in the Darkness is directed by Kenichi Imaizumi (Katekyo Hitman Reborn!, Student Council’s Discretion Level 2) with character designs by Hiroaki Karasu (MAOYU, Gatchaman Crowds), scripting by Yukinori Kitajima (Hamatora, Senran Kagura), and animation production by ARMS (Elfen Lied, Samurai Girls). A high school senior Murakami Ryota had a childhood friend called Kuroneko who died in an accident. Ryota had made a promise with Kuroneko that he will prove there are aliens in the universe. In order to fulfill his promise, he joined the astronomy club at the school as its only member and kept observing the stars almost every night. One day, a girl who looks like Kuroneko transferred into his class. To his surprise, the girl’s name is Kuroha Neko which is really similar to his childhood friend’s name. However it seems that there is something unusual about her. It turns out that she is a witch who actually escaped from a research laboratory. Brynhildr in the Darkness will be available soon through select digital outlets with a home video release to follow.